Rachel’s experiences resonated with me on a deep level. Her stories are at turns heart-breaking, inspirational, up-lifting and empowering. The way she approached her book, by addressing a different lie she told herself in each chapter, makes it easy for her audience to absorb her messages. It also means that you can go back and reference specific lies and lessons easily, without re-reading the book cover to cover. I borrowed the audiobook through my library Hoopla account, but – and this is the first time I can ever remember saying this – I am going to purchase a physical copy of the book as well, so that I can read and reference the book over and over. Not because I can’t get through the audiobook. I loved it. I just want a physical copy too. Ya’ll, that is how real this book is. Rachel reads the audio version herself, and both the writing and her narration are superb. It feels like “real talk” with a trusted girlfriend. I don’t find “ra-ra” cheerleader type self-help books to ever be applicable in my life. I’m too much of a cynic I suppose. Rachel’s book is much more grounded in real-life examples that are easy to relate to. If there is only one self-improvement title you read this year, choose this book. 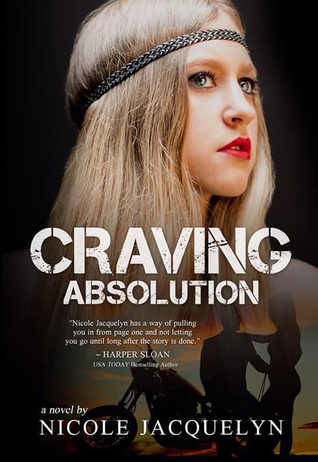 The third book in the series is Craving Absolution. It features Casper, who was introduced in book 1 as a prospect to the Aces MC, and is now a full-patch member. His heroine is Farrah Miller, the main supporting character in book two and the daughter of the Club President. I really liked Farrah’s character, she was my favourite part of this book. She is a strong chick and is an example of how someone who suffers from panic attacks and anxiety and is completely unsure of herself in relationships, can still be strong and opinionated. Having panic attacks doesn’t make her weak, and it isn’t a character flaw. IMHO, Jacquelyn is excellent at adding depth and development to her characters, allowing them to change and mature through the events of the story. Often, this is a recurring failure in romance novels so character growth is one of my favourite aspects of the Aces MC books. Farrah moves on from barely acknowledging her father’s existence after meeting him in book 2, to reaching out to him and Vera (her stepmother), trying to establish some sort of emotional connection to them and including them in her family. She also embraces a maternal, nurturing role as she takes on being a parent to two children, despite never having a childhood herself and certainly lacking responsible parents growing up. Although romance novels typically feature a couple as dual main characters, I definitely felt that this one was ‘the Farrah story’. The reader spends most of the pages in her perspective and Casper has little character development in comparison to the vast amount that Farrah experiences. Casper is more the companion piece to her character and a way to move the plot forward. I would have liked to see him grow up a little more and be more in control of himself and his destiny. I really liked this installment in the series and cannot wait to read the next. 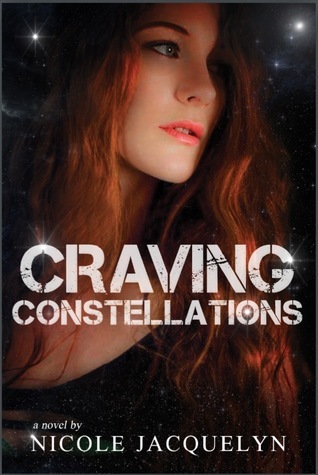 The first book in the series is Craving Constellations. It features a daughter of the Aces MC who grew up in the club, only to abandon the only family she has ever known while in college. Now she returns five years later, seeking protection for herself and her daughter from her abusive husband, bringing with her luggage full of secrets. Craving Constellations introduces the Aces MC and sets up several characters to have their own books. It also informs the reader of many of the rules that guide this world; protecting family and the club, keeping loyal to this family and never leaving, the patriarchal rules of respect that guide interactions between members and the consequences for breaking any of these rules. Unfortunately, Brenna has broken most of them and is going to have a rough return to the world that was her home for the first 18 years of life. I loved the poetry of this novel. The idea that Brenna sought to extricate herself from the oftentimes violent world of an outlaw motorcycle club, just to end up in greater danger in an emotionally and physically abusive marriage that sends her running back home for safety is intriguing. It brings to bear the idea of destiny and whether any of us can escape our pre-determined fate. Brenna felt that she kept making the same mistakes, no matter how many times she thought she was choosing differently, which has been a recurring theme in my own life the last several years. Jacquelyn weaves complicated tapestries throughout her novels, and takes the time to allow her characters to grow and mature. Every time I felt that I knew these characters and their stories, something else will bubble up that takes the reader by surprise. One revelation, which the reader learns with Dragon, settled a hard pit of sadness and anxiety in my stomach. It is at this moment that you realize just how screwed up life has been for Brenna and her daughter and it tears apart their little family and the safety and security she thought they had found. I highly recommend checking out this series. It is more complex that many other MC books on the market and limits the “club business” aspect of these stories to a minimum, a bonus if that isn’t your thing.